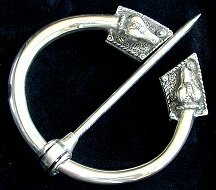 Pewter openwork with embossed design. Secures to garment by way of a pin with locking, safety catch. 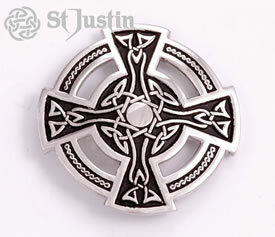 The Celtic cross is typical of many found in England, Ireland, Scotland and Wales. They were carved in local stone by the native Celts and are still intact centuries later.